At Whitten Laser Eye & the TLC Richmond LASIK Surgery Center, our friendly staff will answer all of your questions about laser eye surgery and will show you how our affordable financing programs can work for you. LASIK surgeon Dr. Mark Whitten has performed more than 130,000 refractive procedures since beginning in 1996. He has performed LASIK on many professional athletes. Take a few minutes to start your journey now and see if you are a candidate for LASIK. This state-of-the art facility is designed for optimal results. Whitten Laser Eye & the TLC Richmond Laser Eye Surgery Center sets the Gold Standard for outstanding patient experiences and outcomes! Schedule a Free LASIK Consultation in Richmond today! Dr. Stephen S. Jennings, O. D. has been providing his optometry services in the Richmond Metro area of VA since June 1979. His caring attitude and technical expertise on the latest eye research and equipment keeps his patients eyes the main focus of his eye care services. Dr. Britton has been taking care of patients' eyes in the Bluefield area since 1982. 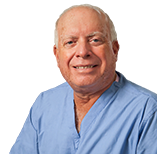 He opened his private practice in 1985 and is able to offer his undivided attention you and your needs. Dr. Britton has hundreds of post LASIK patients under his care and has seen remarkable results. Dr. Ryan has extensive experience in managing pre- and post-operative refractive surgery patients, as well as determining candidacy and setting realistic expectations of patients desiring refractive eye surgery. He genuinely enjoys seeing his patients experience the benefits of improved vision. Dr. Kenneth Arndt is the founder of ClearVision Optometry with offices located in Newport News as well as Yorktown, Virginia. He specializes in primary family eye care which includes contact lens service and the medical management of eye disease. Our practice provides comprehensive eye exams which check both the vision and eye health. We also provide a wide selection of frames and contact lenses. Dr. Billmayer opened EnVision Family EyeCare in 2005 and continues to thoroughly enjoy providing exceptional care to her patients after nearly 20 years. She is a member of the Virginia Optometric Association, American Optometric Association and Richmond Optometric Society. Quality eyecare and personal attention are our focus at the optometry office of Dr. Clifford A Roffis, OD. We are a family optometry practice that prides itself on the individual care and attention we provide all of our patients. Your entire family is welcome at Dr. Clifford A Roffis' office. Dr. Douglas specializes in general ophthalmic care, glaucoma management, pre and post-operative cataract care, and advanced ophthalmic care. He is a member of the American Optometric Association and the Virginia Optometric Association. Dr. Nilsen earned her doctorate in Optometry from Pennsylvania College of Optometry. She is known for her compassionate way with patients and thoroughness in eye care. She will take the time to talk to you about your visual needs and find a solution for you.